This Veterans Day, we are saluting all those who served by offering a free donut to veterans and active duty military on Saturday, November 11th. 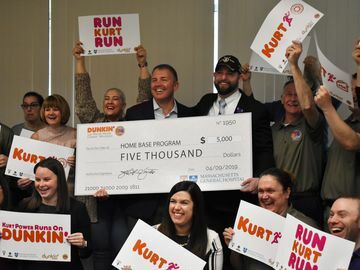 * We are also recognizing a few extraordinary members of the Dunkin’ family who go above and beyond to support our troops, including Paul Charboneau, a Dunkin’ Brands employee and veteran. His service helped put him through college, where he studied Industrial Design at Rochester Institute of Technology. In 2006, he joined the Dunkin’ family as a Senior Design Specialist and he has been designing in-store graphics for Dunkin’ Donuts restaurants ever since. Some of Charboneau’s favorite projects have been the customized wall murals he’s created at several Dunkin’ restaurants located on U.S. military bases over the years. 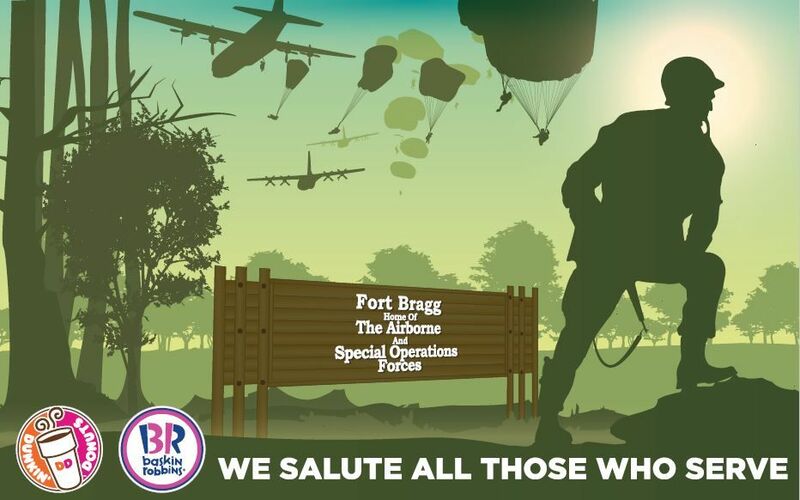 It started with his first wall mural for the Dunkin’ Donuts restaurant at Fort Bliss in Texas. The franchise owner asked Charboneau if he could design something special to show appreciation for the military personnel on the base. 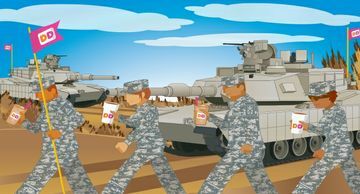 Word spread about the unique design paying tribute to the soldiers at Fort Bliss and Charboneau was commissioned to design murals for Dunkin’ Donuts military locations at Miramar, Camp Pendleton and Fort Bragg. This year, we also tapped him to design a military-inspired virtual Dunkin’ Donuts gift card that can be purchased and sent exclusively through the Dunkin’ Mobile App®. 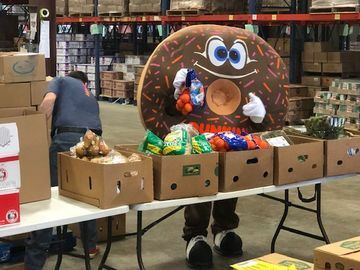 Today, Charboneau continues to support his fellow veterans here at the Dunkin’ Brands headquarters, serving as the chair of our Veterans Employee Resource Group. 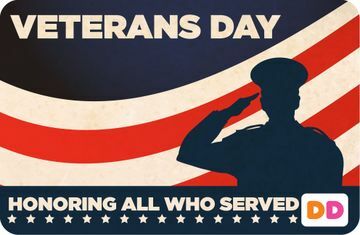 We would like to thank Mr. Charboneau for his service and his continued support of veterans, as well as all of our employees, franchisees and guests who have served in the Armed Forces. From all of us here at Dunkin’, thank you and Happy Veterans Day. You can learn more about our efforts to support the military here. 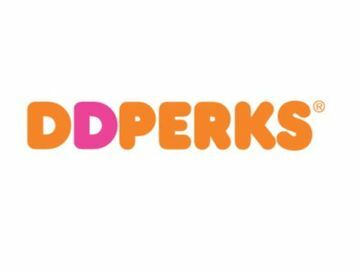 *On Saturday, November 11, anyone who shows a military ID at participating Dunkin’ Donuts restaurants nationwide will be offered a free donut of their choice with no purchase necessary. While supplies last. Limit one per customer.